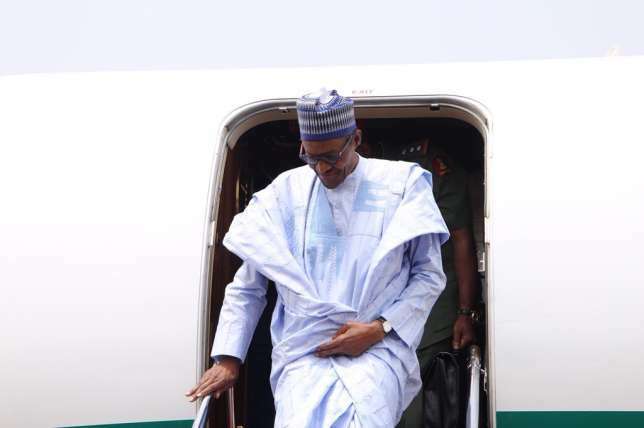 President Muhammadu Buhari has arrived in Yobe State as part of his visits to states troubled by violence across the country. The president was received by state governor, Ibrahim Gaidam, in Damaturu, the state capital, on Wednesday, March 14, 2018. Yobe has been in the news recently due to a recent attack by Boko Haram in Dapchi that led to the abduction of 110 schoolgirls. The president is scheduled to hold a town hall meeting with government officials, traditional rulers, community leaders, and other stakeholders. He will also meet with parents of the Dapchi schoolgirls during the visit.